Woodbridge Virginia Mortgage Information on VA, FHA, USDA, and Zero Down Loans for Buyers: Short Sale Help for Homeowners and Realtors in Washington DC Metro Area. Short Sale Help for Homeowners and Realtors in Washington DC Metro Area. Short Sale Help for homeowners and Realtors in the Washington DC Metro Area is just a phone call away. Heather Mergler with Advanced Title is passionate about helping homeowners successfully short sale their property in Virginia, Maryland, or DC. Here is a video interview with Heather called Ask The Short Sale Expert. She actually loves short sales and offers no cost negotioation for Realtors and Sellers. Happy Friday and I would like to introduce myself to the Active Rain community. I know it sounds a bit crazy but it is the truth. Myself and Advanced Title and Settlements, LLC. started negotiating short sales over three years ago and it is hard not to feel passionate about something that has helped so many families avoid foreclosure over the years. There are no indications that this economy is going to drastically improve over night. Unemployment held at 9.1% in August and that does not even count the long term unemployed the under-employed (part-time workers looking for full-time with no luck). I can remember when the indications were that this economy was going to turn around in 2012, but last night I heard a projection of 2015 for recovery. In the meantime, it doesn't take long to look around and see a friend, co-worker or family member affected by this "soft" economy. So many people have lost their job, lost part of their income or are facing hardship in general. It was just yesterday that a Realtor that visited my office shared with me that they have started a food bank at their office for those that are not doing so well. Short sales have been a light at the end of the tunnel for so many families and it has been a pleasure over the years to work with agents that are helping families in their greatest time of need. Realtors are a priceless resource for families that need to develop a strategy to avoid foreclosure. An Realtor that is educated about the short sale process can help a family navigate through a difficult time and help them to avoid foreclosure often without any upfront costs. There are so many families that break down crying at the settlement table and share that they wish that they had known about a short sale process a year before. They are thankful and appreciative of all of the hard work and effort that the Realtor and our team put into obtaining short sale approval and ultimately closing the transaction. Often times, the time frame after a short sale for a homeowner is an opportunity to take a deep breath, make assessments and plan for the future without the overwhelming burden of foreclosure looming. Last year I felt the need to take that message to the streets, a calling of sorts to help homeowners facing foreclosure. To educate them about the alternatives to foreclosure and more importantly to take control back in their lives by mapping out their future and making decisions about how to move forward. I started a radio show but it was costly and it reached about five people total... Just kidding but not really. The radio show was geared at bringing in local agents to share what they were seeing on the front lines and share their experience to help homeowners make better decisions. Let's also be honest about short sale approval ratings. Recently I saw an article stating that only 50% of short sales are approved. I would implore anyone that is avoiding short sales transactions to seek out individuals that have consistently displayed an ability to successfully negotiate and obtain approvals from lenders. From my perspective one should expect 90%approval rating and nothing less. Advanced Title and Settlements and their team members have been consistently obtaining short sale approvals and a good deal of the time, if a short sale is not successful it is because the homeowner waited to long to reach out to the Realtor. In short, no pun intended, there are too many homeowners in distress and they need Realtors to help them avoid foreclosure. I would hope that by sharing some information about what we are seeing on a day-to-day basis may help to inspire you to get out and find those folks in need and also help increase your business. Short sales are not without hope - they are a small correction in the marketplace each time one goes to the closing table. The seller gets out of a situation that is hopeless, the buyer is getting the property that they want a valuable price and the community wins by not letting the home fall into foreclosure. Lastly - thanks to Markita Aldridge-Woods that was kind enough to share how Active Rain works. It is my goal to post often! 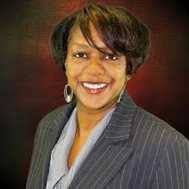 Post © 2019 Markita Woods NMLS#196099, Queen of Mortgages - FHA, VA, Conventional, USDA (Fairway Independent Mortgage). Design © 2019 ActiveRain, Inc. All rights reserved, Inc.